“You do not rise to the level of your goals, you fall to the level of your system(s)” says James Clear, in his book Atomic Habits as an adaptation to the adage of Greek poet Archilochus. What does this quote have to do with our profession as strength and conditioning coaches? Well, a lot. There are many ways that we can take this to apply to our setting, and this will be the focal point of this piece as you read below. The purpose of this article is to share strategies and solutions with strength and conditioning coaches in the collegiate setting, especially those in a relatively grassroots circumstance, and how TeamBuildr can help you to facilitate an efficient, robust and collaborative system. Let’s start with a very important, and necessary, question: what exactly is ‘high performance’? This is a bit of a loaded question, but one that I feel we must all ask ourselves within our role as strength coaches, and discover how we can be of best service within the confines of our setting. Although there may not be one exact answer to this question, as there may be 10 different answers if you ask 10 different coaches, but I believe there is one commonality that we can all agree on: consolidation. School: grades, attendance, relationships/friendships, exams, schedule, etc. Preparation: meals, homework completion, presentation, etc. Stress: perceptions of stressors and personal belief system of what stress means to them, coping mechanisms, management competency, etc. Nutrition: eating enough, eating high/poor quality food, affordability, selection, etc. Sleep: social media influence, sleep hygiene, work schedule, late practice, etc. Athletics: practice/game schedule, strength and conditioning schedule, etc. Home: family life, support system, etc. By no means is this list describing ALL of the variables at play, although it covers a lot of bases in trying to grasp the myriad opportunities that we may have in serving our student-athletes. Now, what can we do about all of this? It’s easier than you may realize, and TeamBuildr has been a tremendous asset in allowing myself and our staff to be of better service, and improving upon this daily. Now let’s get to the good stuff. What does TeamBuildr have to do with all of this? ‘High performance’ requires consolidation with team sport coaches and athletic therapy staff, as well as being value-based and solutions-driven. We can only do this, successfully (as defined by our personal terms), through developing a systems-based focus. TeamBuildr has provided our program with myriad tools to be extremely efficient in our service, although we are only scratching the surface and continuing on the path to discovery of how we can always be better, more consistent, and deliver actionable metrics to our sport coaching and athletic therapy staffs alike. 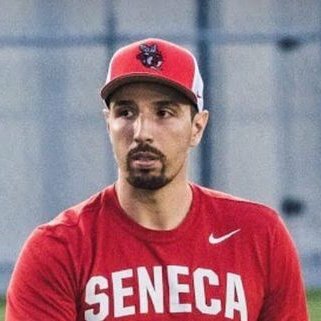 Going into my first year of leadership at Seneca College, I had a pressing priority to discover how we can be of best service to our sport coaches, athletic therapy staff, and especially student-athletes, as this was a vision that Joe Vecchione (Academy S&C Coach - Vancouver White Caps) and I had working together as his assistant in the semester prior. 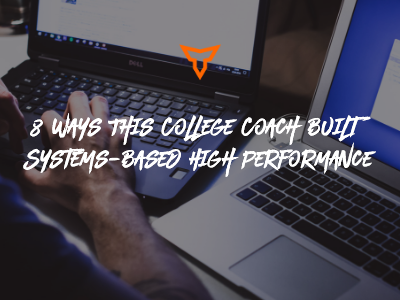 In my past experiences, I had many opportunities to work with, and be mentored from, those whom had experience in building successful collegiate programs, both large and small, and understanding the big picture of how valuable we can be in establishing better high performance outcomes for our student-athletes. One common theme amongst all was to develop an efficient, robust system to serve. At the time of my transition, I was not so sure how I would be able to build one myself, for this program, until I came upon to discover how valuable TeamBuildr can be. I asked myself the question, following a self-auditing exercise provided to me by Steven Rassel, (Minor League Strength & Conditioning Coordinator - Toronto Blue Jays), “what can I do, and how can I be as valuable as possible to this school? How can I integrate with our sport coaches and athletic therapy staff to help one another in discovering how to access the best outcomes for our student-athletes, both on- and off- the field of play?” I had a vision of being resourceful, and efficient in helping our student-athletes to live and lead better lives, using strength and conditioning as a means to do so. This vision involved the creation of our Integrated Performance Team. Now, we are currently in our first year of implementation, and discovering how we can better support one another in getting a more laser-focused understanding of our student-athletes within the time that each of us have with them throughout a weekly basis. Below, are a few solutions that we have found to face the challenges that our student-athletes face and better grasp strategies that we can use to overcome such challenges. Remember, the time spent in the gym is extremely small relative to the time spent outside of it. As such, this should not be the only space that we should be serving if we truly want to be of greater value to our team sports and program as a whole. We have found that creating a 10-question daily wellness report (adapted from Derek Hansen), has helped us to provide our sport coaches and athletic therapy staff with early information regarding our student athletes, whether a practice day, game day, team lift or simply a day off. Now, although these reports are subjective, we want to allow this insight to start or build upon a conversation with our student-athletes. This provides all with this insight to have more objective discussions and get down to how we can better provide them with care that they may need and overcome the challenges they have experienced on a specific day. Here is a snapshot of our questionnaire, with specific instructions to our student-athletes above it so that it may help to facilitate an effective day via our resources and guidance. We have added sRPE to team practice sessions. Our teams practice 1-2 sessions weekly and nonetheless with a small frequency relative to days per week, it is still important to assess “workload” for our athletes on any given day. This, paired with daily wellness reporting and our discussions with our student-athletes, becomes a multi-dimensional assessment of sorts. Although this may not be ideal for an acute:chronic workload ratio, it provides metrics on the relative intensity week to week to pair with training sessions and practice sessions for insight. We have been fortunate to use PUSH 2.0 bands for objective means of monitoring performance and recovery within our program. Applying sport science allows us carry analytical value that we can serve as a knowledge translator to transfer to each specific sport team we work with. We input pre-session jump testing metrics into our custom ‘evaluation’ that we send to sport coaches as yet another means of measuring progress, recovery, and wellness. Also important is how this info is used for our athletic therapy staff for athletes in return-to-play protocols; evaluations are easily accessible via teambuildr as reports to assess long-term progress and return to baseline measures. I feel that this is an extremely important tool for us in the collegiate setting, being able to look at various ways that we can educate our student-athletes on why we are training in the way that we are, and how we are accommodating the academic and sport calendar to improve means of performance in as many facets as possible. Within our programs, we create ‘notes’ above specific training days to educate the specifics of the session, the intent required, and how one can take ownership in this specific session. Intent is everything, and providing all with the education that transfers to their sport in an easily digestible note, helps. This is a key component for high performance. Being valuable is taking yourself out of the weight room and onto the field of play. How can you integrate yourself into the team practice setting? Well, it all starts with objective discussion with each sport coaching staff. What is the coaches plan and goals for the team? How can your expertise better influence the physical variables at play, as well as educate on effective balance of each? Can we prescribe speed, agility, and/or conditioning protocols for the team and integrate into the practice plan? What about warm ups? The opportunities are endless, dependent on your setting. This is a discussion that we have, and implement strategies to ‘fill buckets’ of qualities that may not be expressed during practices. Vertical integration (via Charlie Francis) is one of the most important concepts that I have learned, and continue to assess/apply, in this setting to be of the best value possible to the sport coaching staff. How can we “fill all buckets” to improve not only robustness, but anti-fragility (to thrive in volatile, unpredictable circumstances/sport) in a weekly plan to best prepare? We don’t have all the answers, which make our role so fascinating, as in everything depends, so long as we are willing to put the pieces in place and assess if they are effective, at all and to what magnitude. You certainly don’t know if you don’t try, right? All fit within the respective practice and game calendar to support qualities at minimum effective doses (we test bi-weekly to assess worthwhile changes and effectiveness). It’s important to help to tackle obstacles faced for our student-athletes, and equipping all with resources to try and assess what works best for them in order to own each day, one by one, will accumulate in leading a healthy and active lifestyle. Using ‘lanes’ in program design is a concept that I learned from Nate Harvey. As we design our programs, it is a helpful tool to break down the components of a session into lanes, so as to ‘plug and play’ with qualities that you would like to emphasize. This is also valuable for our student-athletes to see, throughout each training session, the ‘lanes’ they will be focusing on throughout the specific session, and intent required. Not only does this help to objectively separate the session into its components (qualities), but also helps the program to look more aesthetic and organized. Using ‘session breaks’, we place ‘lanes’ with specific intentions into the program. For daily wellness reporting, you will see above that certain ‘lanes’ are omitted dependent on the wellness score that the athlete expresses. 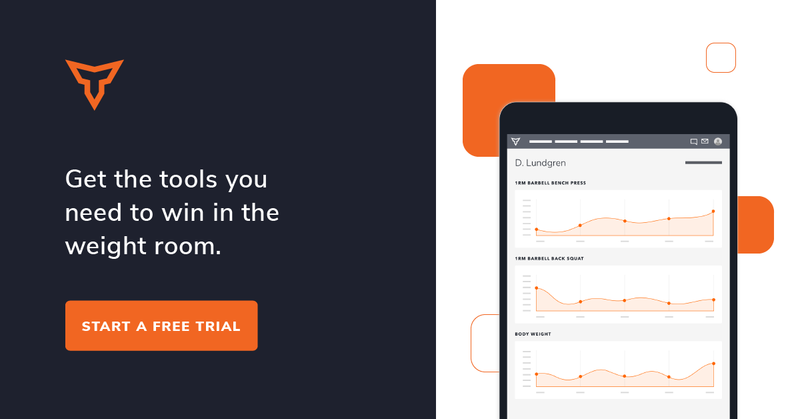 Although the collegiate setting is one that is tough to truly individualize for each athlete based on needs, TeamBuildr allows coaches to be more efficient within the software. As you build out your team calendar, you can access individual player calendars within, and make subtle changes thereafter dependent on the athlete. We simply look at the ‘lanes’, assess if the athlete may need to be slightly regressed, and plug in an exercises that may allow them to be more confident in their efforts. As Joe Kenn has expressed (to paraphrase), ‘the one quality that you can guarantee to improve in the weight room is confidence”. To build on that, I am an advocator of autonomy (within reason) and learned the importance of this in program design in discussions with J Aggabao (Co-Director of Education and Elite Football Performance Coach - Mamba Sports Academy). I believe that autonomy is a critical piece in building buy-in and trust for our student-athletes, especially those whom may not have the healthiest relationship with the weight room. We want our student-athletes to be confident and feel better than when they come in after a session, and allowing each at the beginning of a phase to select an exercise (out of 2-3 options) that they feel they can perform with a high quality of intent (at that time), guides us to implement that specific exercise into their program. It is important to be driven by the principles and intent, allow the athlete to maximize the principle/quality you are looking to build in this phase, and retest the group in time to assess if it worked. You don’t want to be married to a specific exercise as a be-all end-all, rather be robust in your selection of exercises to deliver similar intentional effort. As you can see, there are many ways that TeamBuildr can help your program, no matter large or small, to grow and deliver exceptional service to your athletic departments and student-athletes alike. I hope that this list may help you to discover how adaptable and valuable you can be through TeamBuildr’s accommodating software, as the options truly are endless. We are always discovering ways in which we can continue to grow our integrated performance team, and through much trial and error, creativity and effort, we continue to learn in this process. In our setting, we are merely scratching the surface, but with a system in place (a dynamic one that should never be rigid), we can consolidate our efforts more effectively and efficiently. We look forward to continuing to use TeamBuildr and discover more ways that we can drive solutions and strategies forward for our program! Copyright © 2012-2019 TeamBuildr, LLC All Rights Reserved.